Modern concrete has a major, inherent deficiency as a building material. ALL Concrete always gets wet. It is porous. Because it is porous, concrete absorbs water Wet concrete and water always transpires through concrete, no matter how thick. So, concrete is not ‘waterproof’. That means two distinct problems for all concrete users. 1. Normal concrete that is supposed to keep water out of a structure must be ‘waterproofed’ as separate, distinct, additional, design and construction functions. 2. 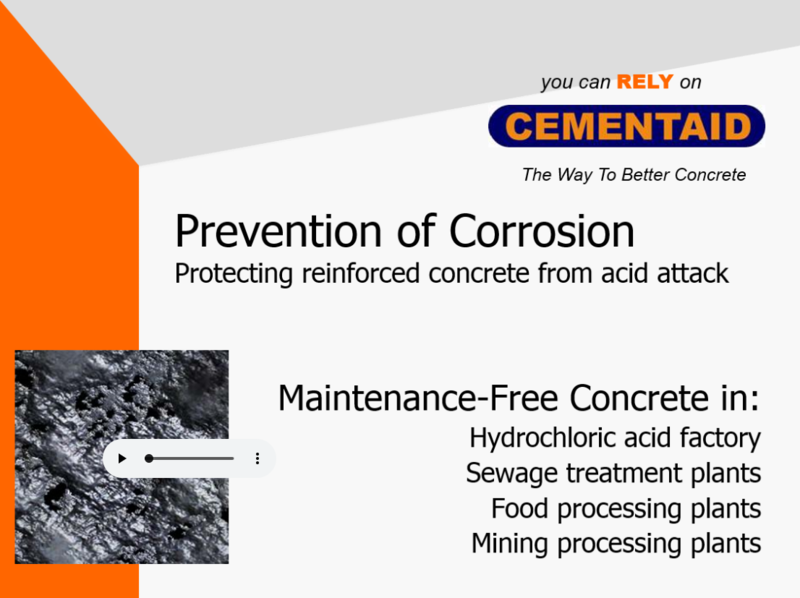 Where the absorbed water contains aggressive soluble salts and acids, all concrete will always corrode, including all reinforced concrete. reinforced concrete that simply never gets wet. Ever. Just as the modern metallurgist adds time-proven additives to his iron, to create steel, stainless steel and other specialist alloys, the modern concrete designer can use this industry’s time-proven additives to change the deficiency of porous concrete to one of hydrophobic concrete that will never absorb water, or allow water to be forced into it under pressure. The only time-proven additive that has a successful track record of eliminating porosity in reinforced concrete, is the Cementaid Everdure Caltite System. Since its first use in 1960, the Caltite System has delivered permanently DRY!, corrosion free reinforced concrete. Modern designers are able to eliminate past, old conventional ‘waterproofing’, and eliminate the two functions of waterproofing design and construction to deliver maintenance-free, design life service in the most severe environments, faster and at lower initial and TCO costs. 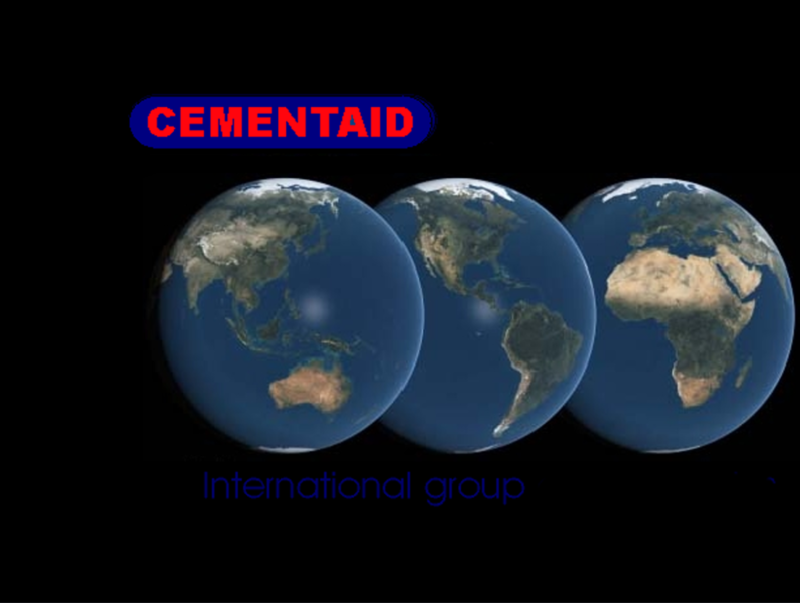 This collection of information demonstrates the Cementaid Everdure Caltite System and provides empirical and test data to answer most questions. The drive also includes the most important information for concrete designers and engineers; How To Specify Caltite Concrete; a performance specification. Just click on any hyperlink to launch the video clips in a new window.tion. in a new window. Simply run the slideshow presentation. 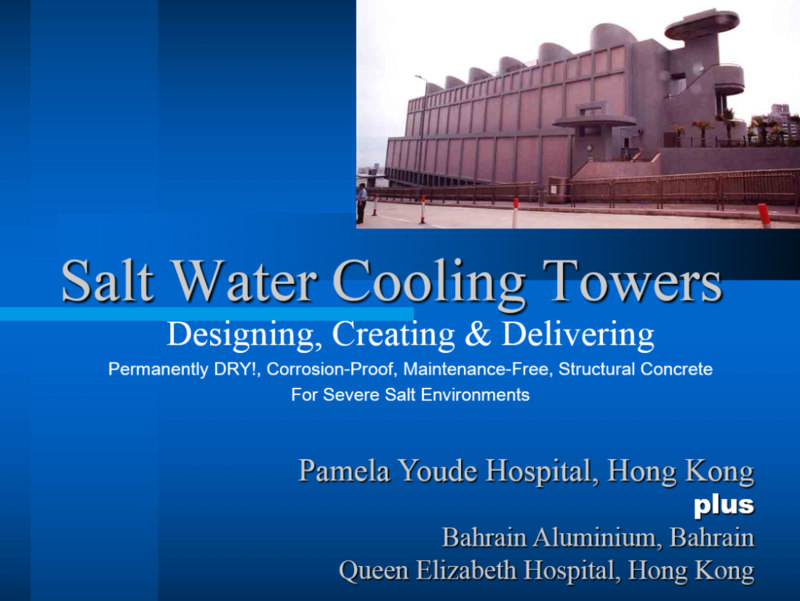 Caltite Concrete protects huge concrete salt water cooling towers over a major hospital in Hong Kong, and in similar cooling towers in Bahrain and elsewhere. 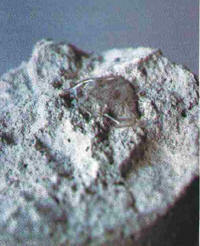 Why Cracks Don’t Matter, in Caltite Concrete. 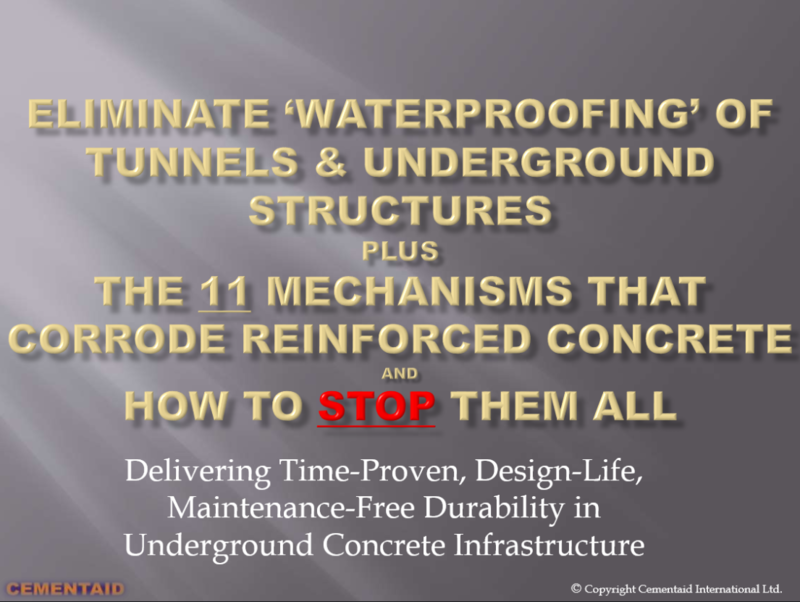 The 11 Mechanisms of Corrosion of Reinforced Concrete,.. And How to STOP Them. A detailed discussion of the only 11 mechanisms of corrosion of reinforced concrete, and how the Everdure Caltite System STOPS every one of them. (NOTE: this is a similar presentation to the ‘Sustainable’ one above, but has in depth information on corrosion and Caltite’s protection. The use of Caltite concrete in very severe exposures for industrial and civil concrete structures, and why Caltite works even when the best epoxy and other coatings fail. The test data shown here is a fraction of the amount of testing of the Everdure Caltite System that has been undertaken around the world since Caltite’s first use in 1960. M these research reports are available on request. Both the Victorian and New South Wales main roads departments conducted concrete durability tests over two years, on a variety of materials to determine suitability for improving durability of their road and bridge assets. This is a summary of the research. Full reports and named appendices are available on request. Our most recent deep research test results by the independent consultant RSK of UK, on normal and Caltite concretes, side by side in extremely severe exposure: high temperature, hyper saline water used by the gold processing plant, for both process and wash-down. RSK’s test regime included SEM work. After 17 years exposure, the Caltite concrete supporting the critical parts of the plant is in near perfect condition, the normal but very good quality plain concrete is severely corroded. Note the difference between W/C ratios of Caltite and normal. The attached PDF file has a short summary at the beginning for convenience. Report on Permeability Reducing Admixtures, printed in the American Concrete Institute’s Journal. This program showed the difference between the use of hydrophobic pore-blocking ingredients (HPI™) and ‘crystal growth’ chemicals. Long term research on full size, cracked bridge specimens under accelerated salt attack by Dundee University, UK, The Caltite concrete specimen demonstrated remarkably longer time to corrosion, extrapolated to many times that of normal, UK bridge quality concrete. 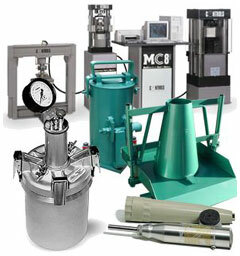 Research undertaken for an engineering firm, by Queensland University of Technology in Australia. For commercial reasons, some individual and company names have been blacked out. The references here are a tiny sample of the thousands and thousands of Caltite concrete projects placed around the world since 1960, in service for our clients. An overview of the Singapore MRT’s use of Caltite concrete in their 120 year design life concretes below Singapore’s water table. With prior acid floors as a comparison, the Caltite concrete floor demonstrated a sustained improvement of more than 18 times the life of the previous concrete floors in this severely corrosive environment. The South Australian Government’s Water authority uses Caltite concrete in a test tank for testing various coatings for resistance in super accelerated corrosive sewer evironment,.. because the Caltite concrete tank outlasts the test samples by more than ten times the life of the best samples! This is a reproduction of a BHP testimonial to Cementaid on the performance of their Caltite concrete in salt water at their salt works, placed in 1962. 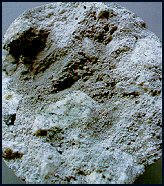 The Caltite concrete lasted design life, before the works were demolished. The testimonial shows that even with poor quality concrete, the deciding factor in durability is absorption. This is a testimonial from the owners of the raw salt storage warehouses and processing units, shown in the above video. The 2nd and 3rd largest aquariums in world, Sentosa and Dubai, rely on the Everdure Caltite System for life time maintenance-free and corrosion free operation. Much of this iconic cultural structure is underground, in acid/sulphate ground waters. The Theatre demands a 100 year design life, which rules out membranes as they have a far less service life. This flyer gives full details of the excellent results the designer and owner achieved through eliminating conventional membrane ‘waterproofing’ and relying on the Everdure Caltite System. This massive 33,000m2 membrane-free, Caltite concrete podium deck is a fine example of what modern designers and owners can achieve by eliminating old membrane ‘waterproofing’ and using HPI™ concretes, like the Cementaid Everdure Caltite System. 40+ year old Caltite concrete chairs in salt pans, and other similar projects. Cast to protect plain concrete, these Caltite concrete chairs for a waterpipeline across salt pans are in excellent condition and empirical proof of the efficacy of the Everdure Caltite System.